Technology Leader, Technical Strategist, Solution Architect, Development Consultant and a Trusted Technology Advisor with more than 12 years of experience in the IT industry with expertise in Development, Architecting, Engineering, Consulting, and Services Delivery. Currently associated with West Pharmaceutical Services as a Director of Technology. He is responsible for building, managing and leading the overall Application Development and Software Engineering team. At West, his area of focus is around building a highly scalable and sustainable solution for Industrial IoT edge, E-Commerce Platform, Enterprise Mobility, Smart Device Platform, Product development with MES and Digital Reality. He is also responsible for building competency in Artificial Intelligence & Machine Learning, Data Science, Edge based IOT, augmented / virtual / mixed reality, Chat Bots and different Open sources tools and platform. Prior to West, Abhijit was associated with Microsoft for 8.7 years and held different roles in Delivery, Development, Consulting, and Pre-sales. At Microsoft, As Development Lead and Architect, he managed several complex projects and delivered solutions to Worldwide enterprise customers with very high customer satisfaction. Several of this project have been published as Case Studies at Microsoft’s Official site. As a Presales SME, he was instrumental in winning several deals across different platforms. While at Microsoft, he was also responsible for adopting and delivering a world-class solution with N+1 Technologies, where he mainly led engagements on Universal Windows Platforms (UWP), Microsoft Azure Platforms, Internet of Things (IoT), and Cross-Platform App ( Windows, iOS and Android) Development. He has also incubated HoloLens and Chat Bot delivery capabilities at Microsoft, and also build up the team for Azure App Management and Application Support for the highly scalable cloud solution. He has received “Best Consultant” and “Best Development Lead” award from Microsoft Global Delivery India. Apart from being a Former Microsoft MVP (Most Valuable Professional), he is a Speaker, and author, as well as an avid Technology Evangelist. He has delivered sessions at prestigious Microsoft events like Tech Ready, TechED, Web Camps, Azure Camps, Community Tech Days, Virtual Tech Days, Devdays, developer conference, etc. 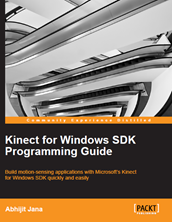 He has presented sessions at IIT Delhi, IIT Bombay on Kinect for Windows SDK organized by Microsoft Research India. Prior to Microsoft, he has worked with Sapient Corporation Pvt Ltd and HCL Technologies Ltd. He has been awarded Code Project MVP (Most Valuable Professional) three times in a row for his contribution to Code Project community. Many of his articles posted on different web forum have been selected as “Article of the day” at http://asp.net site also featured as a “Spotlight” section. CodeProject.com has awarded him many times for his asp.net articles. He is the Founder of http://dailydotnettips.com, a community website for developers, which aimed to create and share useful .NET Tips and Tricks . He spend his personal time to make this site better, share lots of tricks on development that helps days to developers activities. He is a core member of Microsoft User Group – Hyderabad ( MUGH). He is basically from Kolkata, West Bengal, India presently based at Hyderabad, India with his wife Ananya and his beautiful baby girl Nilova. He loves to spend quality time with his family and playing with his little daughter Nilova. Any question, concerns, feedback please feel free to reach out to me via contact me page.